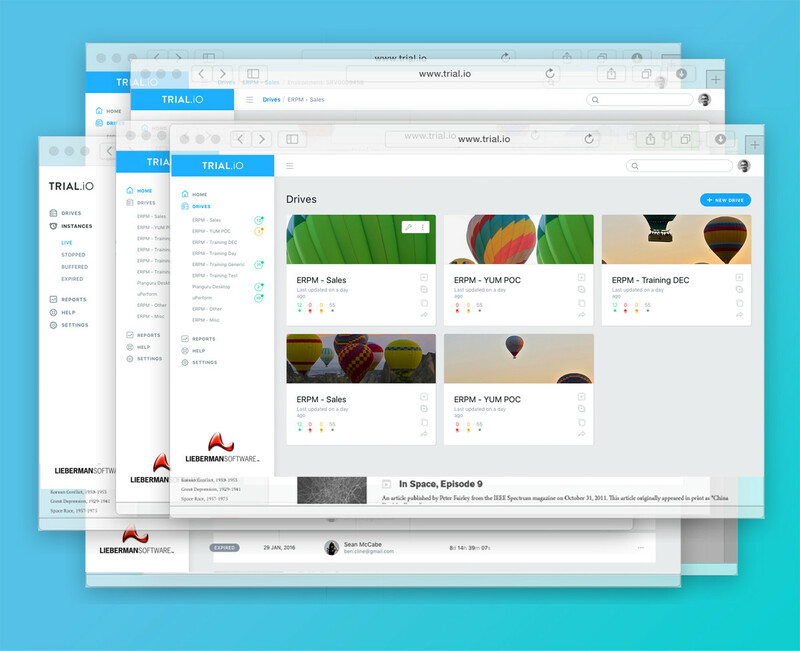 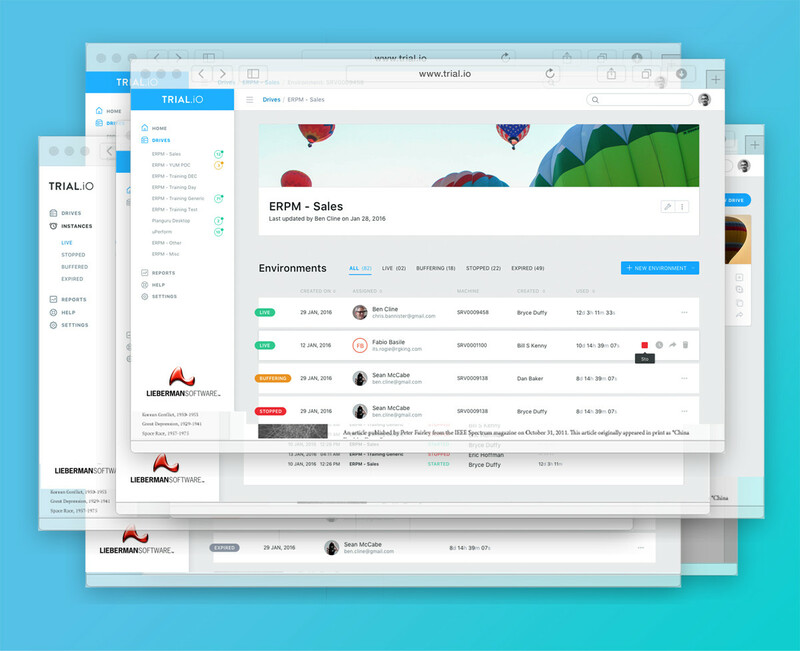 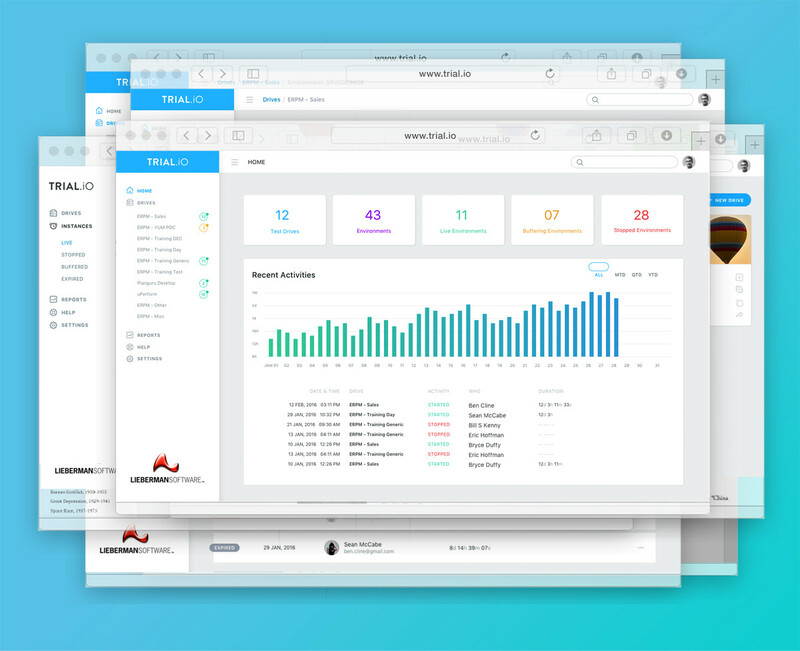 Trial.io is a startup that offers Trial-As-A-Service cloud based service to business to manage their product trials, demos and training more effectively without incurring the huge cost of IT & Cloud infrastructure. 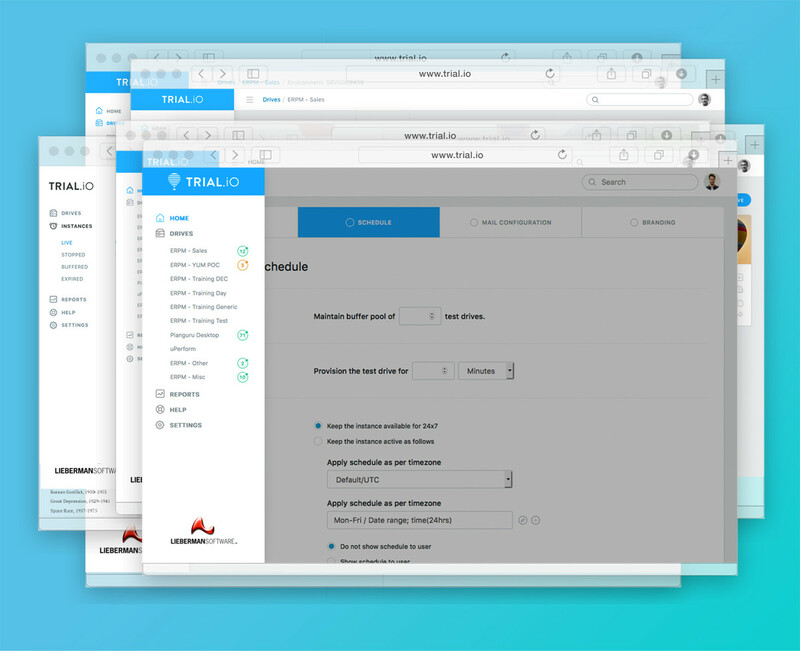 Trial.io is build on Microsoft Azure Cloud platform. 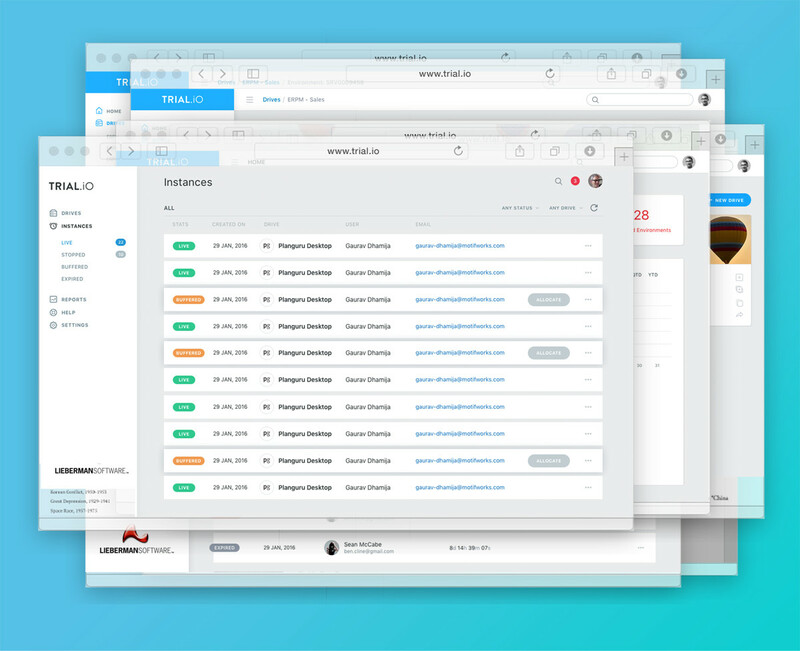 It helps easy setup for the demo, and brings many value added services to its customers – integration with Salesforce, Hubspot; create multiple virtual environment without IT support; real time analytic to name a few. 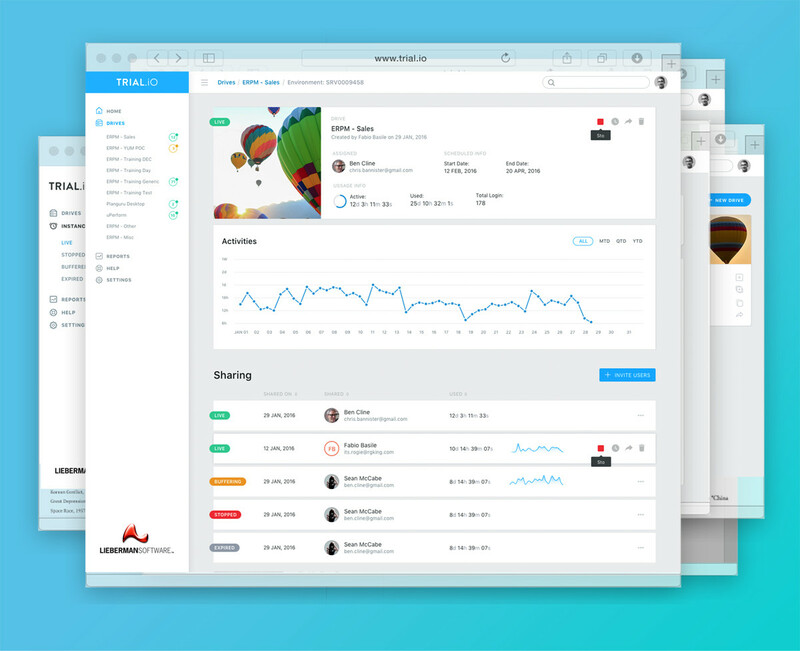 Our goal was to understand the customers, context of use, grasp the underlying technology framework & processes and deliver an awesome UX design that makes the product more appealing, ultra-modern & easy to use by non-technical users. 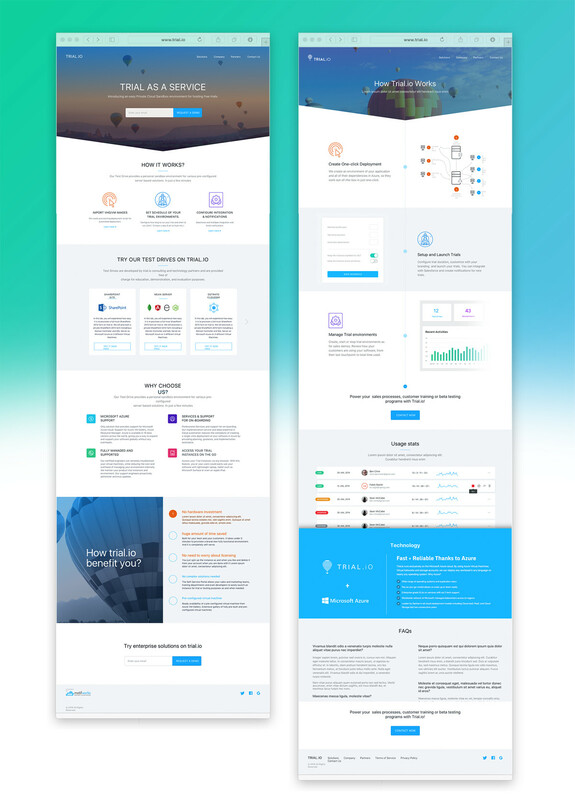 We also helped our client by designing & developing WordPress based product marketing website to help educate customers and develop leads for their new product.